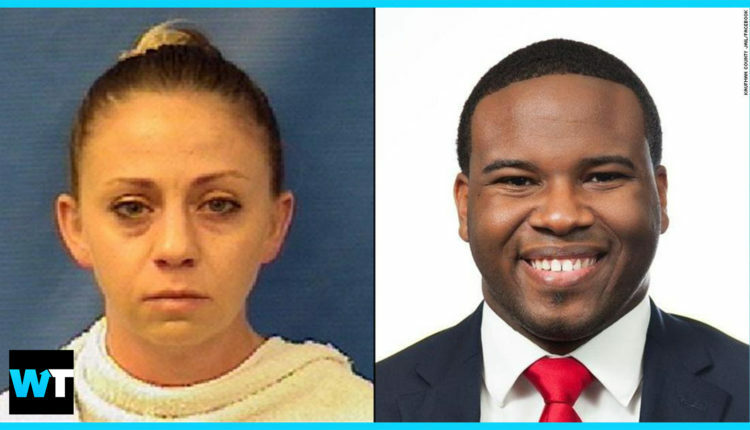 Why Amber Guyger Should GO TO JAIL For Shooting Botham Jean In His Own Home! The police officer shot Botham Jean after entering his apartment thinking it was her own. A Dallas police officer has been charged with manslaughter after she murdered a man in his own apartment, thinking it was hers. According to police reports, 30-year-old Amber Guyger entered the apartment of 26-year-old Botham Shem Jean, thinking it was her own. She didn’t recognize him and shot him in the chest. For about 72 hours after the shooting, the officer was not identified, leading to growing pressure from the Dallas community to hold her accountable. Guyger was ultimately arrested and charged with manslaughter, though she posted bond and left the jail shortly thereafter. Guyger had just worked a 15-hour shift and mistakenly parked on the wrong floor of her parking garage. This, apparently, is what led her to enter Jean’s apartment thinking it was her own. It’s obviously impossible to know what would have happened under different circumstances, but significant research has found that officers are more likely to shoot black suspects than white ones. Botham Jean’s family, more than anything, wants to make sure he gets justice. Jean was born in St. Lucia, a sovereign island in the Caribbean. He was active at the West Dallas Church of Christ, and a member of the a cappella group “Good News Singers” at Harding University in Arkansas. He was working as a risk assurance specialist for PricewaterhouseCoopers. There are no indications that Guyger and Jean knew each other prior to the shooting. This is despite claims on social media that the two appeared together in a photo. The killing of Botham Jean is just the latest incident to make national news of an unarmed black man being shot and killed. And many in Dallas wants to make sure this time is different. But, there’s going to be lots of debate on whether or not that will really happen. After investigating, the Texas Rangers, who took over for the Dallas police, elected to charge Guyger with Manslaughter. In Texas, manslaughter is a second degree felony where prosecutors will have to show that Guyger was reckless in her use of force. If convicted, manslaughter requires a minimum of two and a maximum of 20 years in prison. Guyger’s defense, should she plead not guilty, would likely attempt to show that she had a real fear of physical harm and acted in self-defense. But an acquittal, or a two year prison sentence, is unlikely to quell the anger of the city of Dallas, who saw a model citizen gunned down in his own home. What do you think a suitable sentence would be for Amber Guyger? Let us know in the comments or on Twitter at @WhatsTrending.